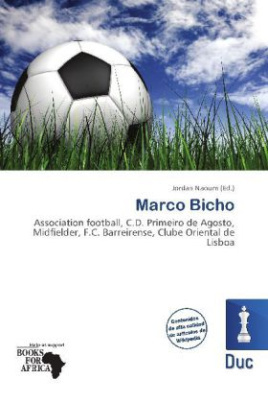 Por favor, tenga en cuenta que el contenido de éste libro consiste de artículos disponibles en Wikipedia u otras fuentes de internet Marco Paulo Amaral Bicho (born 7 March 1980 in Barreiro, Setúbal) is a Portuguese footballer who plays for C.D. Primeiro de Agosto in Angola, as a midfielder. Association football, commonly known as football or soccer, is a sport played between two teams of eleven players with a spherical ball. At the turn of the 21st century, the game was played by over 250 million players in over 200 countries, making it the world's most popular sport.